JC Decaux strongly believes in digital. That’s why they have a whole range of new digital features and technologies for billboards. To make Belgium’s most important advertisers aware of this, we started from digital. As everyone knows, JC Decaux billboards are visible on the street. But they're also visible on the streets of ... Street View. All these billboards have been left in place for years and years. Which means all these brands got years and years of free media space. So why not use this as a powerful B2B tool? 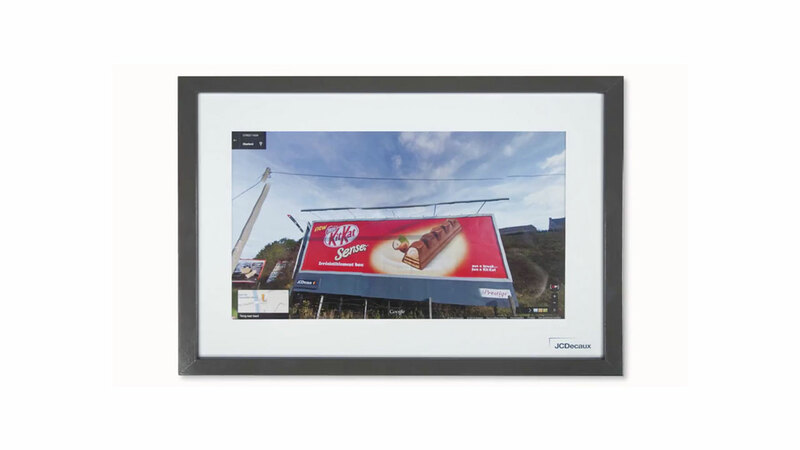 We sent 53 of Belgium's biggest advertisers a framed picture of their campaign on Google Street View. 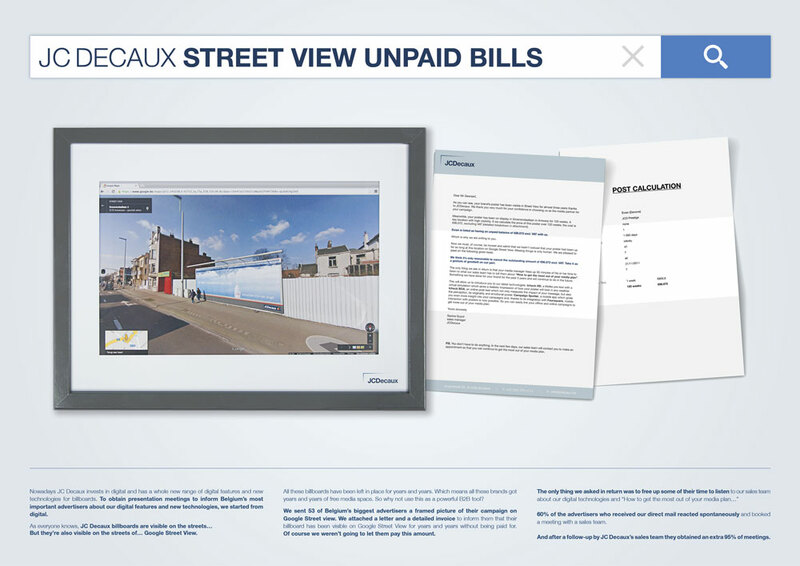 We attached a letter and a detailed invoice to inform them their billboard had been visible on Google Street View for years without being paid for. Of course we weren't actually going to let them pay. 60% of advertisers who received our direct mail reacted spontaneously and booked a meeting with a sales team. And after a follow-up by JC Decaux’s sales team they obtained 95% extra meetings.